What would you do if you realized the person you loved most was not at all the person you thought he or she was? For Beth, this is particularly painful, because that person is her young daughter, Hannah. For Clara, it's her live-in boyfriend, Luke. At first I mistook the severed head for something else. It wasn't until I was very close that I realized it was Lucy's. To begin with, I thought the splash of yellow against the white of my pillow was a discarded sock, a balled-up handkerchief perhaps. It was only when I drew nearer and saw the delicate crest of feathers, the tiny, silent beak, that I fully understood. And suddenly I understood so much more: everything in that moment became absolutely clear. Circumstances: In the 1980s, Beth is becoming increasingly worried about of her daughter, Hannah, whose behavior is out of control. The five-year-old rarely shows emotion and already seems to have a bullying streak. In modern times, Clara wakes up in her London apartment to discover that her perfect boyfriend, Luke, has disappeared into thin air. This dual-time-period book follows Clara as she (with a little help from the police) searches for clues about Luke's fate and alternately follows Beth as she tries to cope with her fear of Hannah. How these two seemingly different plot lines come together is at the heart of the novel. Why I want to read this book: I want to know how Beth and Clara's lives intersect. What happened to Luke and is he as perfect as he seems? And what about Beth and her sociopathic daughter? I can't even imagine what it would be like for a parent to be afraid of her child. Sounds like a great October spooky read. 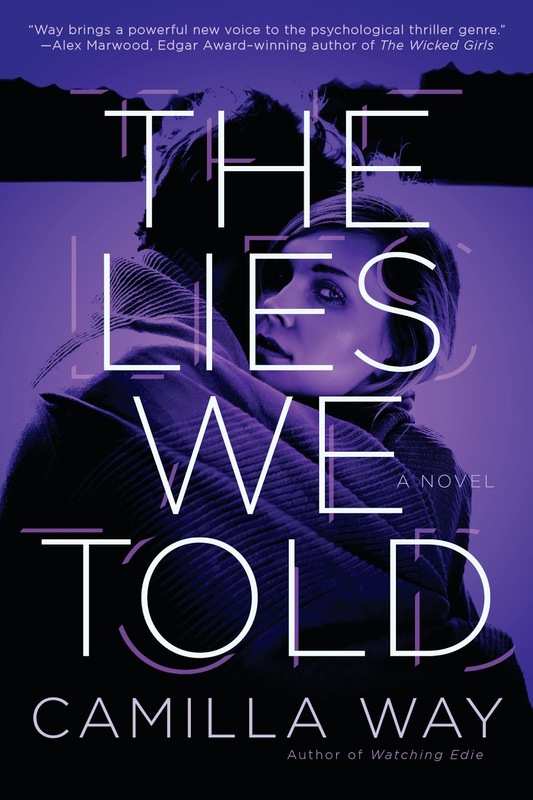 More about the book and the author: Publishers Weekly says the novel has "palpable tension"; the Washington Times says the "twisted narratives [are] fueled by obsession . . . driving relentlessly on to disaster"; the Goodreads score is 4.3; Crime Fiction Lover blog had mixed feelings about the character development but still recommends it for light reading. At Female First, Camilla Way wrote "10 Things I'd Like My Readers to Know About Me." 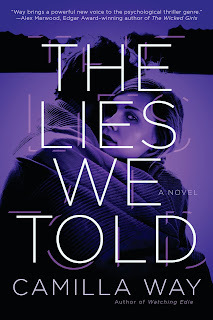 Acknowledgments: thanks to Berkley for a finished copy of Camilla Way's The Lies We Told. That intro got my interest immediately; thanks for sharing. is palpable tension code for scary? I'm getting wary of the dual time period stories because I often have to suspend disbelief to buy what ties them together. I'll wait to see what you think of this one before I try it. A powerful intro and one that makes me want to keep reading! After reading the first paragraph I was leaning toward no. Then I read your description and I'm leaning maybe. I'll see what you think. I just got this one today in my October Book of the Month shipment. The daughter sounds a little like the child in Baby Teeth which I ended up DNFing. I am hoping that this one is more enjoyable and the characters are more well developed. Great choice! This one is on my radar screen too. Sounds creepy right from the start, I'd keep reading. Yes, I thought the daughter sounded like the one in Baby Teeth too, a book I put down and haven't picked back up. I saw this featured last week and thought it was creepy. But it does look like a good book. Thanks for stopping by Girl Who Reads.